You may recall a couple of month’s back, my mentioning a visit from Mr and Mrs Swallow? Well, I’m sorry to say but there have been a series of unfortunate events that have occurred over the past weeks and it is my duty, as author of The Rioja Diaries, to report these somewhat tragic happenings back to you. You may remember, relations with our flying squad squatters didn’t start well. Initially Mr & Mrs Swallow were furious with us for having moved in to the(ir) house. For six years they’d happily nested in peace but now that we’d arrived on the scene, they were barred access to their original nest. Having sorted out our differences in what I hope was an amicable way, they then, after much cursing and mutterings, proceeded to build a new nest in the passageway that leads off the courtyard to the front of the house. It’s not an ideal spot; the nest is almost directly above the door to the bathroom and only a few feet away from the kitchen. I also have a washing-line directly under their flight path. But, all said and done, I am a great believer that man and beast should be able to co-exist happily side-by-side and if they were prepared to put up with our comings and goings, then it was only fair that we should put up with theirs. Two weeks later, the ‘Grand Designs’ new build swallows-nest was completed. Triumphant, Mr and Mrs Swallow proudly showed it off to us. There was lots of chattering and trilling and evidence of what looked like the remains of a nest-warming party the following morning. After the celebrations, Mrs Swallow then got down to the serious business of laying and hatching her eggs. Mr Swallow, in typical male fashion, spent a lot of time down at the bar chatting with his mates. 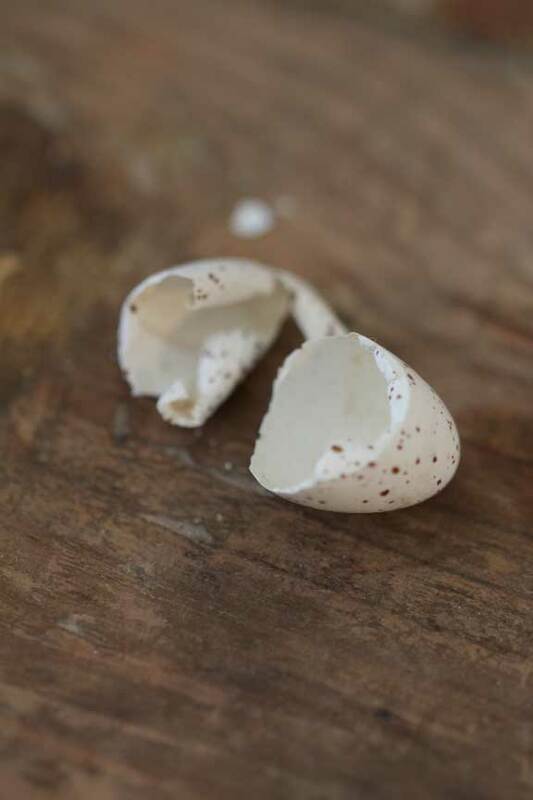 One morning on vacating the bathroom after my ablutions, I noticed some tiny eggshells on the floor. I looked up at the nest and sure as eggs are eggs, there was Mrs Swallow chatting lovingly to her newly hatched offspring. Mr Swallow was banned from going to the bar that day and given his marching orders to go out on insect hunting duty instead. By the next day all the chicks had hatched and it was clear judging from all the loving chitchat, that Mrs Swallow was in her maternal element. It is at this point in the story that you might want to go and find a handful of Kleenex – I am sorry to say that things are going to start to get teary. Shockingly bad photo of swallows egg. About a week and half later, Pete and I went away for two days away filming at Fort Bravo. When we returned home, avian carnage greeted us. Five tiny baby swallows lay lifeless on the ground and a further two tiny corpses were out in the courtyard. Mrs Swallow was perched on the washing line, her head buried in to Mr S’s shoulder weeping like there was no tomorrow; while Mr Swallow was doing his best to cheer her up. I took one look at the inconsolable Mrs S and promptly burst in to tears. There was no way that a cat could have got to the nest, not unless it had Spiderman powers so it remains a mystery as to why and how the babies came to such an untimely end. And then Mr & Mrs Swallow vanished. I felt quite desolate in their absence. They had become so much part of our lives that they were like family. Mr Swallow was so tame that I could stroke him as I went in and out of the kitchen while he sat on the washing line watching me. I missed his merry twittering. But then, three days later they returned. I can only think that he’d treated Mrs to a weekend away in Paris to cheer her up (and maybe catch up on some much-needed romance) Brushing down her feathers and without further ado, Mrs Swallow started on laying clutch number two. I watched and waited anxiously, the days seemed to drag and drag but then at last, the tell-tale sounds of a chirpy, happy Mrs Swallow heralded the arrival of her new babies. But then another unfortunate event happened. First one, then another pink, bald chick plunged to its death. I was beginning to think that Mrs S was a very sloppy mother. Honestly, how could she be so careless? But then I remembered how I myself had once been a careless and sloppy mother. How many mothers do you know that can leave a six-week old baby on a ferry and then drive away in to the sunset? Heavens, who was I to point fingers at Mrs Swallow. I could only hazard a guess at how many babies there were left in the nest. As it turned out there were three. Slowly as the days passed they became bigger and stronger, their hungry open beaks constantly screaming for food from the edge of the nest. Mr and Mrs Swallow were now both on full-time food duty. Back and forth they flew and not once did they poop on my laundry – great respect for their self-control. I noticed out in the village that the electricity lines were now brimming with young swallows that had left the nest. It would soon be time for ours to join them. One of the baby swallows was not doing so well as its siblings. It seemed to not gain weight and it was always pushed out of the way when the food came round. A few days later I found it on the floor – the tenth casualty. Everything rested on the last pair. At last Mr and Mrs Swallow deemed it time for them to start flying lessons. I was puzzled as to how they were going to get their remaining babies to leave the nest. All became clear a couple of days later. There was a lot of shrieking coming from the babies but Mr and Mrs Swallow, instead of flying to them with food, instead took a well-earned rest on the top of the double doors whilst watching them and making encouraging noises. The babies were not happy. Mr and Mrs Swallow had the whole thing sussed out. No food until you start to fly. It was rather pitiful, I almost felt like getting a stepladder and feeding the babies myself. However, the tactics of mater and pater seemed to work because the next day, one of the babies made its inaugural flight, swiftly followed by baby number two. I wish that I’d seen the first tentative flaps of their wings, it would have been wonderful. 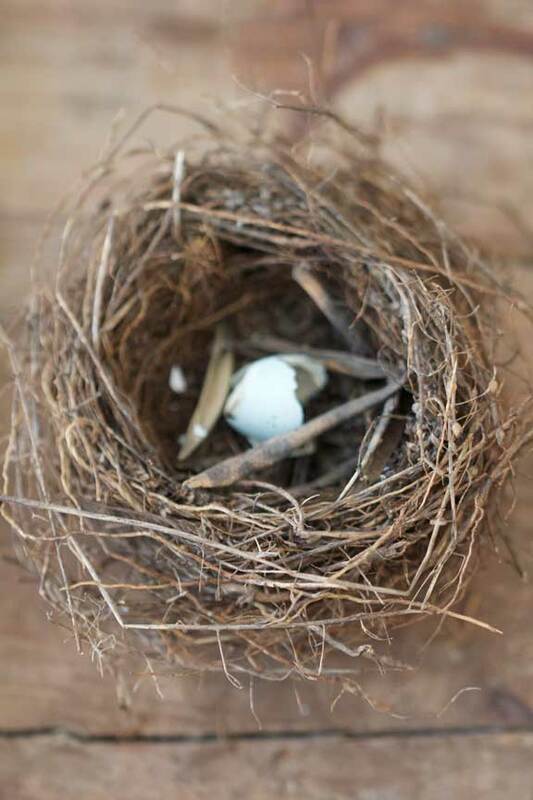 The nest is now empty during the day. The babies have joined their peers at Las Pilas Flying Academy and no doubt Mr & Mrs are taking a well-earned rest down the bar with the other adult swallows. We can set our watches by their nightime routine. At 9.30pm every evening they all return. There is a bit of bickering about where everyone is going to roost. Sometimes the babies sleep on a large nail coming out from the wall, sometimes they stuff themselves along with mater in to the nest but pater is always on the look out. He stays a few feet away on his perch watching out for trouble. And when they finally leave in October, I shall miss them terribly. Empty nest syndrome has taken on a whole new meaning for me. I managed to avoid using the kleenex except to clean my glasses. I can’t help but wonder what happened to the other babies, maybe they tried to fly too early. The happy ending was good and at least you know you’ll have visitors again next year. Well, it IS a mystery what happened to the babies – but at the end of the day, any pair of swallows only have to produce two off-spring in their lifetime to replace themselves, don’t they? That’s nature for you – even if we softy humans have to have a weep about it sometimes! A mystery indeed, oh golly gosh we need Miss Marple on the case….. I totally understand – I’ve cried many times when I’ve found baby birds. Gee Lottie, that was a sad affair with the swallow nestlngs. But it’s called survival of the fittest or nature’s way. I hate when something like that happens. Sometimes the larger nestlings push the weakeer ones out of the nest. It is also a know fact that an un-mated male will kill the babies in an attempt to gain access to the mother as a mate. Sounds like the crazed behavior of some humans! Here in central Texas we have the Barn Swallow, Northern Rough Wing, Cliff and, Purple Martin. Of those swallows the Cliff and Purple Martin are colony nesters. I’ll have to go back to some of my birds books for there is changing of habitat and habits by quite a few bird species. So my knowledge might not be completely up to date. And I’m no longer an active “birder” for the past 25 years or so. I’ve never had any swallows species here for there are too many tall trees in my yard. They prefrer open spaces where they can swoop and dive. Of the swallow species , I think the Barn Swallow is the prettiest and it is found in many countries. Maybe next year the nesting will be more successful. Books indicte that the swallowss mate for life with an average life span of abut 4 years. Awww what a story! I love how you can’t point a finger at Mrs. S. I cannot either. my kid rolled off the couch too. The world is a difficult place for most. We tend to look at our lives as fraught with dangers and difficulties, but for birds and the rest of the natural world it truly is a day to day, hour to hour and often minute by minute struggle. That said, despite the loss of the first clutch and some of the second, you have told a fine story of the coexistence we should all practice with our neighbors both in nature and domestically. Yes, you are absolutely right, Steve. Pete and I were just talking about the swallows earlier – saying how we’ve never been in such close proximity to them before, seeing their every move when at home, all the ups and downs of chick rearing etc and as I finished my last spoonful of soup out in the garden, hey presto the first swallow came back from its day out – I didn’t need to check the time, I knew it was 9.30pm – they are certainly creatures of habit – I find them endlessly fascinating. Both of my kids fell off the changing table, so it’s not for me to judge either. Thanks for sharing your story. Glad it had finally had a happy ending. I tell you, Lorijo, the relief that they’ve finally managed to successfully rear 2 babies is great. I was beginning to think that it would never happen! If it makes you feel any better, one of my babies fell off a table, another fell out of it’s high chair – I’d make a rotten swallow mother! It’s like Born Free but with swallows! I can’t believe you were able to stroke the bird…wow! Love this tale of the swallows! You are so tolerant….we share our mailbox with some kind of bird – well, actually, it’s the newspaper box underneath our mailbox, since we have resorted to digital news these days. There seems to be a regular laying of eggs, and we try to keep the cats away. But we are not always vigilant.